It’s been a few weeks of research and meetings and I was invited to visit this new salon called GLAM.BAR that is opened at J3 mall in Al Wasl. As excited as I was to meet and greet the owners of the salon for their new project , I was given this luxurious CAVIAR experience by ALTERNA. As Alexis started running me through the treatment, the passionate hairdresser soul in me just started going into all those ingredients and the effect it is going to leave on my hair after my treatment was done. I couldn’t wait to see how my hair was going to be and how I was about to feel what I was about to feel. 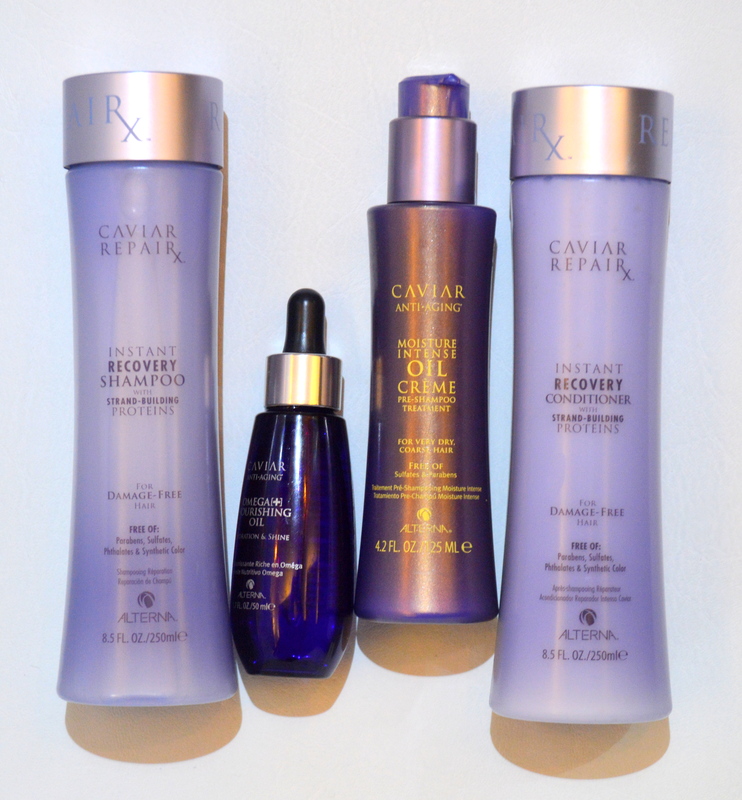 Alterna’s CAVIAR REPAIR X instant recovery conditioner with omega nourishing oil is left in the hair for 10-15 min with a head massage. 2. 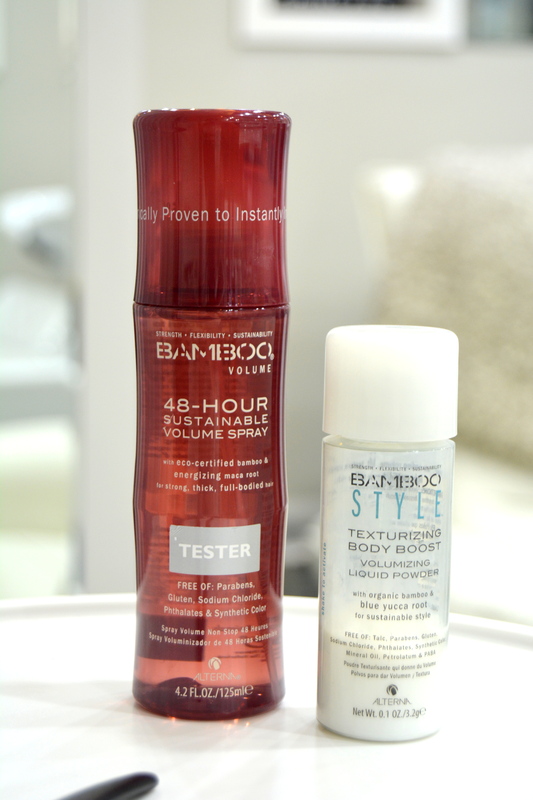 CC Creme + Volumizing spray + Texturising body boost. 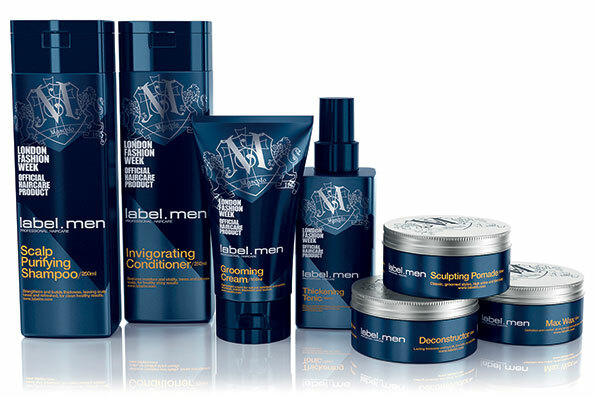 Alterna is an organic based brand that is sulphate free, paraben free and phthalate free. Caviar repair X treatment helps to strengthen and repair the damaged hair. 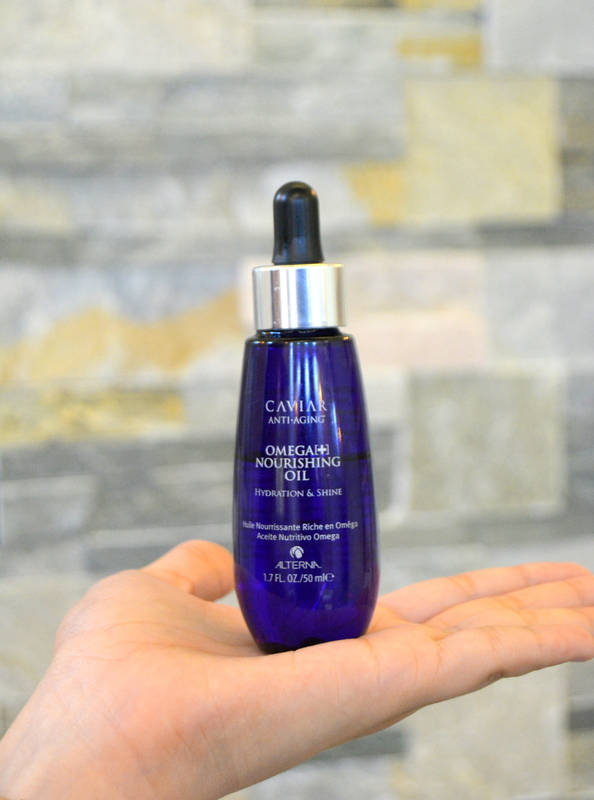 Caviar & Strand-Building Proteins that mimic hair’s natural ceramides to help repair damaged strands. 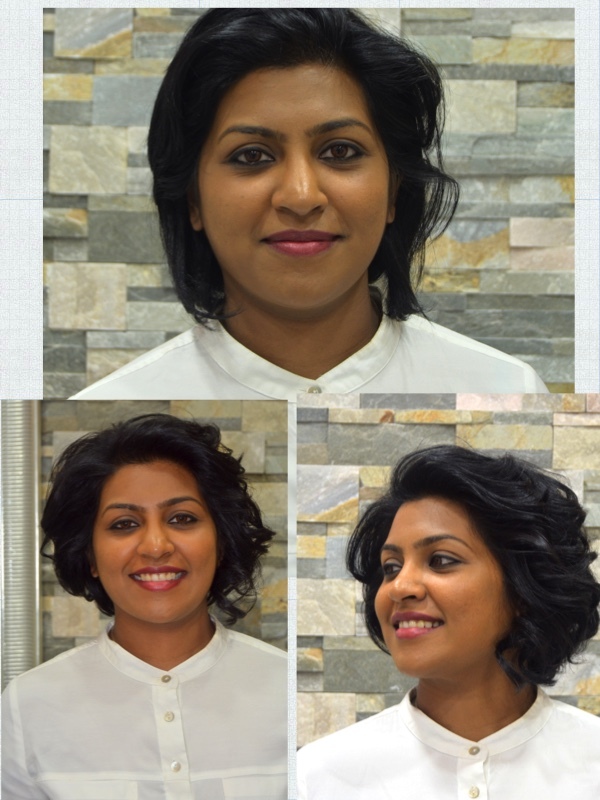 It is an exclusive luxury treatment that is done to reduce the constant dryness, frizziness & brittlness that occurs to the hair due to many chemical and mechanical damage and in turn leaves the hair softer, shinier and stronger. How many times should you get the treatment done ? Once every 6-8 weeks to keep the hair healthy and shiny. 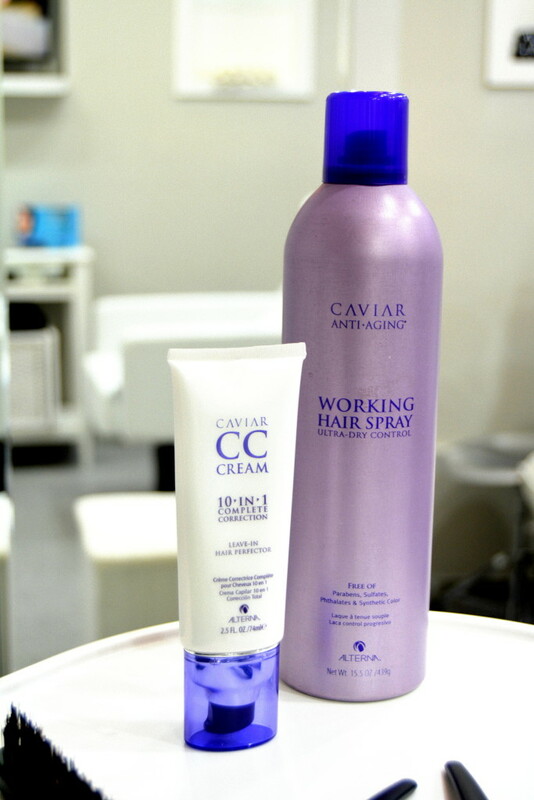 I am in love with the magic created by Alexis using the Caviar Treatment by Alterna. 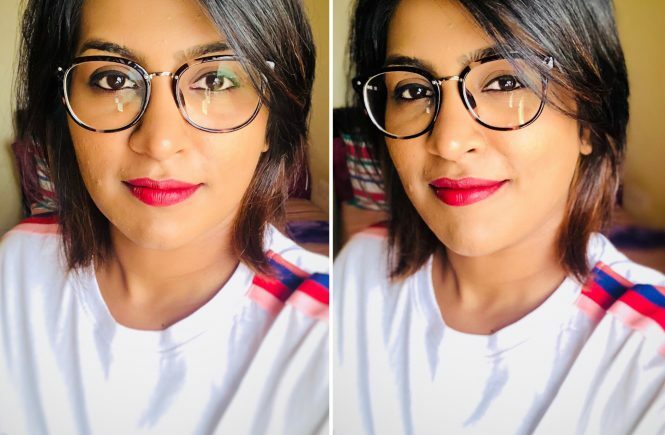 Check out the below and after below. Also check the video on how to get a wavy hair did using the styling products mentioned above and check out the magic Alexis created on my Hair post the caviar treatment. I lovvvvveeee it ! !